Georgia is known as the Peach State, and it’s often recognized for the production of peanuts and pecans, as well as the fruit that inspired its nickname. Hospitality is also an important word in the Deep South, but that doesn’t mean the locals can’t get competitive from time to time. This often manifests at sporting events throughout the state, and this provides a perfect opportunity for gamblers to get their fix. Please note that sports betting is illegal in the state, so anyone caught engaging in such activity can face a fine or even jail time. Most ignore these pesky legal obstacles, but I’d be remiss if I didn’t mention it. Georgia is home to a large number of sports teams, both professional and semi-professional. If you’re a sports gambler looking for events to wager on, you’ll have plenty of options in the Empire State of the South. Football fans can cheer on the Atlanta Falcons of the NFL, as they’ve been playing in the state since their creation in 1966. While they’ve yet to win a Super Bowl, they’ve managed to capture a number of division and conference championships. There have also been several indoor football team affiliated with either the Arena Football League or the American Indoor Football Association. While several have been forced to cease operations, the Georgia Force continues to play. There’s also the Atlanta Xplosion, which are members of the Women’s Professional Football League. 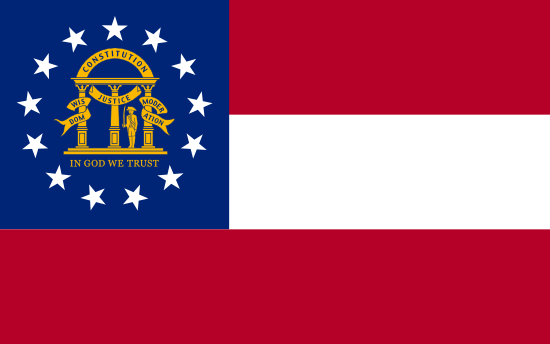 Georgia has had two professional hockey teams in the Atlanta Flames and Atlanta Thrashers, but both relocated to other cities. While no pro NHL teams are currently in the state, a few minor league hockey teams are available. These include the Gwinnett Gladiators, Columbus Cottonmouths, and the Macon Mayhem. The Atlanta Braves are the MLB team in the state, having moved there from Milwaukee in 1966. Their one World Series win in the modern era came in 1996, although they’ve had numerous seasons where they were in contention. In addition to the Braves, the state is dotted with minor league baseball franchises. Some operate independently, while others serve as farm teams for MLB organizations. They include the following: Gwinnett Braves, Rome Braves, and the Savannah Sand Gnats. The Atlanta Hawks have been representing the NBA in Georgia since 1968, and the WNBA also has a local franchise known as the Atlanta Dream. Numerous franchises from the American Basketball Association and World Basketball Association have also made their home in the state, although all of these appear to be defunct. Golf has a long tradition in Georgia, and it’s the birthplace of such famous names as Tommy Aaron and Bobby Jones. The Masters Tournament is held in Augusta, Georgia every April, and it’s one of the four major PGA tournaments in the United States. Georgia has over twenty drag strips and race tracks in the state, and the city of Dawsonville is widely considered to be one of the birthplaces of NASCAR. Some of the more notable racing venues include Atlanta Motor Speedway, Roebling Road Raceway, Atlanta Dragway, and Road Atlanta. The Atlanta Silverbacks represent the North American Soccer league, and they’ve been in existence since 1999. They also have a local women’s team (Atlanta Silverbacks Women) and a developmental team (Atlanta Silverbacks Reserves) that play in the same area. While several other soccer teams have come and gone, the state will get its biggest franchise in 2017. That’s when Atlanta United FC begins play as an expansion franchise for Major League Soccer. For those who are obsessed with college sports, the Division I teams may not prove enough. Luckily, the state also has 13 Division II teams. These schools may not be as big, but they still offer athletic programs with passionate fans and lots of betting opportunities. Often referred to as March Madness or the Big Dance, this annual tournament is held each spring to determine the top team in men’s Division I college basketball. All the programs from Georgia compete furiously to qualify and then advance within the 68-team tourney, although only the 2004 Georgia Tech Yellow Jackets have made it all the way to the finals (where they lost to Connecticut). This presents a major opportunity for gamblers on two fronts. The first is the opportunity to make friendly wagers with people you know and take part in potentially lucrative bracket contests. The other is to find a local bookie or online site that offers betting lines on every game in the tournament. It’s not technically legal to place sports wagers over the Internet, but it’s also incredibly difficult for local law enforcement to catch those who choose to do so. The passage of the Unlawful Internet Gambling Enforcement Act resulted in a number of the leading virtual casinos and sportsbooks withdrawing from the U.S. market, but there are still a handful of offshore businesses that are willing to risk the ire of the Justice Department and offer services to American bettors. While sports gambling opportunities can be found in Georgia, you’ll have to break the law in order to take advantage of them. This can usually be accomplished with little difficulty, and people are often surprised at how simple it is to track down a local bookie. Online gambling sites provide an even more secure method of betting on sports, assuming you can find one that accepts U.S. customers.